As the tech leader of Costa Crociere, Norbert Stiekema is charged with defining strategic growth areas and driving digital transformation at the Italian cruise line. 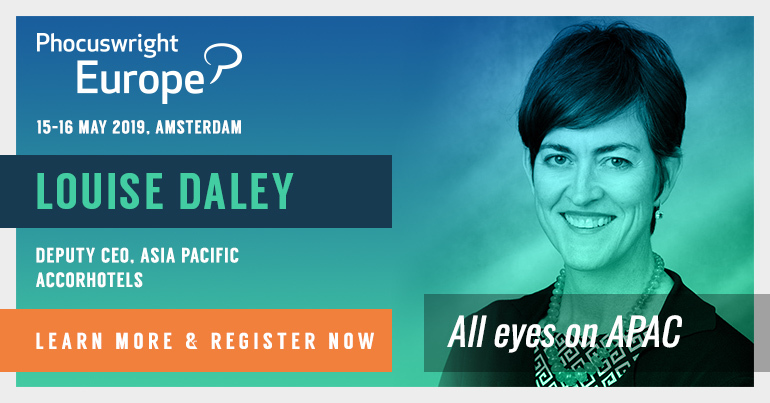 At Phocuswright Europe 2019, he'll take part in an executive interview on how risk taking and learning are vital to market leadership. Putting technology in place and believing that will drive business by itself. Technology is only the enabler for whatever change you are looking for. Critical is allocating the right amount of people to your initiatives, developing the right skills, allocating enough money and not being afraid to change well-established processes. Just by buying a Steinway piano, you will not be able to write music like Mozart ... or in more modern terms, by buying a Fender Stratocaster, you will not play like Jimi Hendrix (this last one is from personal experience). I was tempted to say innovation, but it's really making it all work together to have a laser focus on making profit. Profit allows for growth, room for long-term investments and personal careers. We tend to idealize business at times with long sessions on purpose, visions, missions, values, innovation, and this is all needed, but the reality in the cruise business is that a ship todays costs around $1 billion, and shareholders want a 10% return on that. So we need to make sure the whole corporate system works, plus guest satisfaction, product innovation (or at least delivering what guests expect), marketing, sales, finance and digital to create profit. I used to run worldwide sales and marketing for our company for many years. That is a very competitive field; you are permanently focussed on getting that right idea, implementing with too little time and too little money and checking every morning sales results. I loved the adrenaline part of it all. Next to that with ships all over the world, we have a 24/7 business, and there is always something happening on a Italian cruise ship with over 3,000 guests! But maybe at the age of 55, digital transformation and strategy is better for your hearth, and you even get to see your family at times! If you could teach everyone in you company one concept, what concept would have the biggest positive impact? Actually I have two. Number one: focus. Focus on what creates value. Big companies like ours spend man-years on fine-tuning internal PowerPoints, pet projects, strategies based on hope instead of facts, looking good internally and talking instead of deciding. Focus means, as well, having the courage to drop stuff if the returns are questionable, even if you argued in favor of it before. Number two: speed. If your decision is right, the faster you implement the higher the return is. If Google would have been slow in decision and implementation they would probably still be in their garage. If you are in a competitive market, speed is a way to get ahead of your competitor. Well, you can only be passionate about a few things, I think. My passions are music, travel and my kids. I found out quickly that the likelihood of becoming the Dutch Keith Richards was zero, so that ticks off the music box. I love my kids but am not sure I would be able to teach any one else's kid something really useful. The closest would probably be distribution. I am fascinated with what is happening these days in CRM, artificial intelligence, how we learn in real time about customer behavior, how we smartly mix technology with our understanding of people's behavior. It's about the experience, so it can be a small bed and breakfast in Tuscany or a Costa Cruise in the Mediterranean. It's about the people you are with and the people you meet. Broken hearts heal, even without poetry ... ha ha. I guess there is a part in everyone that doesn't want to grow up. I always liked and accepted that part of myself. Kids are curious, and that probably drives inspiration. It's where you meet interesting people. Amsterdam is surely one of them, but once i ran into an amazing priest in Zimbabwe as well, at the end of a life in Africa, so it could be in Harare as well. So I would say, reach out, look around you, get off your smartphone. The Discovery of Heaven for the fourth time. It's probably the best novel ever written in Dutch, and it's about a very very long journey. 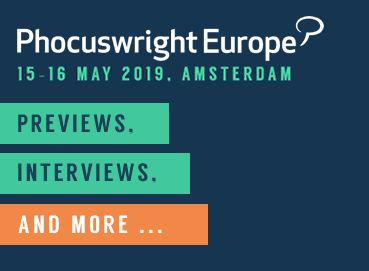 Costa's chief strategy and digital officer, Norbert Stiekema, will talk about the digital transformation of the cruise industry at Phocuswright Europe 2019 - May 15 to 16 in Amsterdam.